Vitamin B12 is an essential nutrient for humans, meaning that we cannot produce it in our own bodies, thus we are required to take it in through a dietary source. It is estimated that up to 40% of North Americans are deficient in vitamin B12, and it is incredibly common in those people who have been diagnosed with Fibromyalgia and Chronic Fatigue Syndrome. The most common symptoms of B12 deficiency are fatigue, mental and brain fog, depression, anemia (red blood cell, white blood cell and platelet) and neuropathy. There are some simple tests that your doctor can do to determine if you have a cellular B12 deficiency. Serum B12 is not a good enough marker of B12 function as the effect of B12 occurs in the cells. Ask your doctor for an Intracellular B12 test. If your doctor is unable to perform this test, then Methylmalonic Acid and Homocysteine are other indirect measures of B12. They are not as accurate but these are other options that exist. Vitamin B12 is most bioavailable (meaning the most usable form of this vitamin is) from dietary meat sources. One of the most important things we need meat for is Vitamin B12. Vegetarian sources of B12 are very rare and not readily available around the world. This is an autoimmune condition in which our immune system attacks the cells in our stomach that produce stomach acid and an important protein called Intrinsic Factor (IF). If these cells (called Parietal cells) are being attacked by immune cells, they cannot readily produce Hydrochloric Acid thus our body cannot separate the vitamin B12 molecule from other dietary molecules. IF is used to transport vitamin B12 across the intestinal cells into the bloodstream but if these cells cannot produce enough IF, then we are unable to absorb the B12, leading to cellular deficiency. This is a very common condition in vegetarians who are not supplementing with good quality B12 supplements. 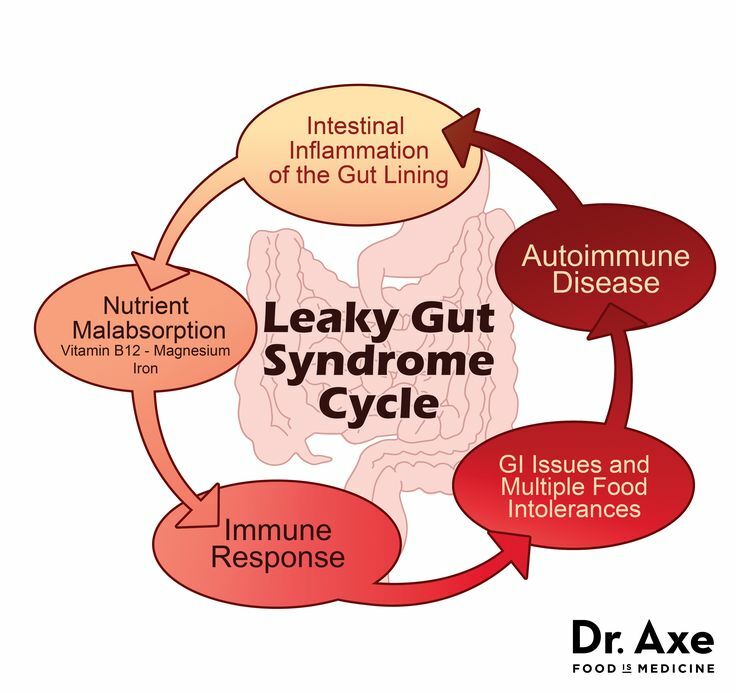 Autoimmune conditions most commonly begin in the gut through Intestinal Hyperpermeability or Leaky Gut syndrome. There are multiple causes of Intestinal Hyperpermeability, aka Leaky Gut Syndrome. Some of the most common is gluten sensitivity, dairy protein sensitivity, parasitic infection, H. pylori and other small intestinal bacterial infections. These issues produce proteins that break down the walls of our gut lining, thus allowing toxins and other molecules to enter our bloodstream, leading to overactivation of our immune systems. It also leads to the decreased ability to properly absorb vitamin B12 from the gut. Getting tested to determine your gut health is a great way to determine if you are suffering from this condition, however, you can also simply cut out the grain, dairy, processed and high sugar foods from your diet to help improve your gut health. The good bacteria in our intestinal tract help us to break down foods and absorb important nutrients into our bloodstream. If the population of our gut bacteria is imbalanced (too much bad bacteria, too much or too little good bacteria), then this can lead to improper absorption of important nutrients including Vitamin B12. Your microbiome population is determined by the amount of sugar and probiotic-rich foods you eat. It is important to reduce the amount of sugar and increase vegetables to help combat bad bacterial growth. One of the most common symptoms of gluten sensitivity and digestive issues is heartburn. Prescribed and OTC heartburn medications can cause a reduction in Parietal Cell activity, thus decreasing stomach acid and intrinsic factor levels. It is far more important to determine the cause of the heartburn rather than simply masking the symptoms with a medication. One of the most common side-effects of chemotherapy is a vitamin deficiency, specifically of B12 and Folic Acid. Chemotherapeutic medications cause an irritation of gut and stomach cells and can have effects very similar to those listed above. It can be very effective for those undergoing chemotherapy treatment to supplement with higher doses of B12 and Folic Acid to help battle this deficiency. The best sources are wild caught fish, free range chicken, lamb and sheep meat. Other good options include chicken liver, beef liver, grass-fed beef and some raw dairy products like Kefir. The best supplement source of Vitamin B12 is Methylcobalamin, however, Cyanocobalamin is another good option. Please speak with your doctor or a functional medicine practitioner before starting a supplement routine. These are also a great option for vegetarians who do not want to deal with B12 deficiency symptoms. It is important to have a good microbiome population as it helps you to absorb Vitamin B12 as necessary. Try eating good probiotic foods such as Kefir, cultured vegetables like Sauerkraut and Kimchi, Kombucha, Coconut Kefir (dairy-free option), and dark chocolate. A high-quality probiotic supplement can also be very effective. Cut down on foods that increase gut and cellular inflammation, including processed, packaged and prepared foods, margarine, fried foods, low-quality meats, sugars, food additives, synthetic sweeteners, iodized salt, dairy and wheat and other grains. For those of you who don’t like the taste of liver, supplementing with a desiccated liver supplement is a good option for food sources of liver.